I guess you could call this a tutorial of sorts, just one where the creator is also figuring things out as they go along. I'm certainly open to suggestions as to where else this thread might be on this forum instead, but this was the best board that I could determine. That having been said, I had meant to make this thread earlier, but for reasons unknown, I ended up forgetting about this place. I can't imagine how - this forum feels exceptionally cozy to me. There's something about how spiffed up its visuals are, I think, with such a consistent scheme to everything. This means taking something of an experimental approach, using the in-game logic to create instruments that can produce measurements to model the physical behaviour of objects. I don't clutter it much with math, since that'd make it less accessible, but I try to be transparent about when I'm using it to let people know what's going on. I wait until pertinent aspects of logic come up to explain, which will only mean getting into really complicated stuff if necessary (and many here surely know it has no upper bounds on how complicated it can get - this stuff can get into calculus, not that I intend to do that). 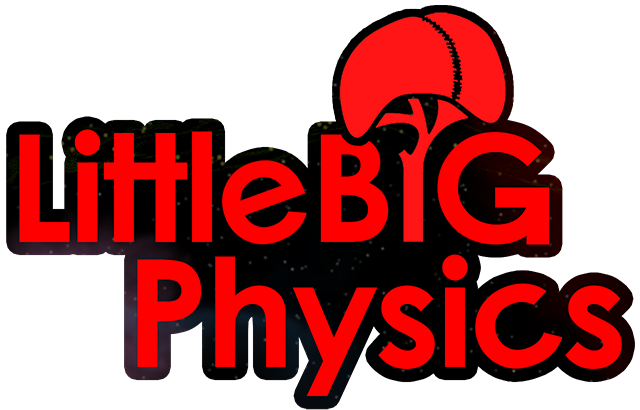 I realize I'm probably catering to a pretty small crowd by this point with how small the LBP community has shrunk (as promising as future prospects are for Dreams), but I'd love to hear any thoughts anybody has on what could be worked on. I'm currently working on some smaller episodes as well, just a few minutes long, to deal with miscellaneous things like density or how long one unit of the grid is in create mode. I'm trying to play around with the format and see what works.